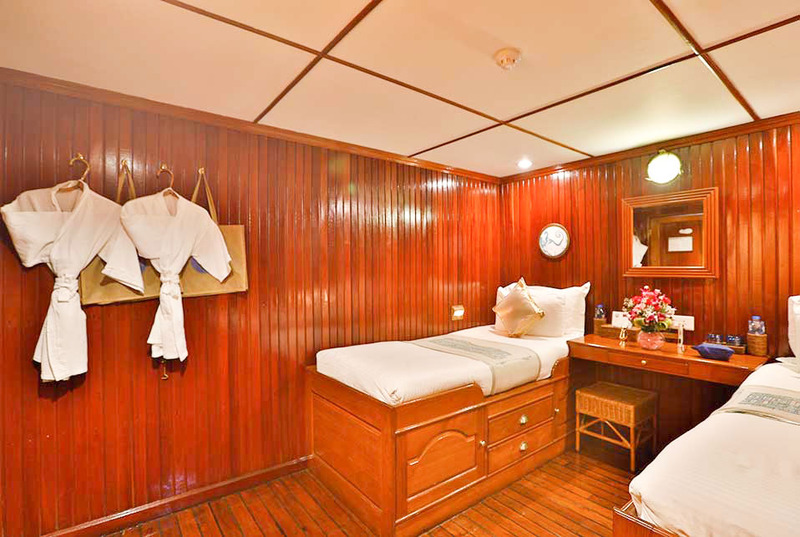 Divided into 2 categories, the rooms at Bengal Ganga exhibit a familiar colonial ambience with Burma teak floorings. 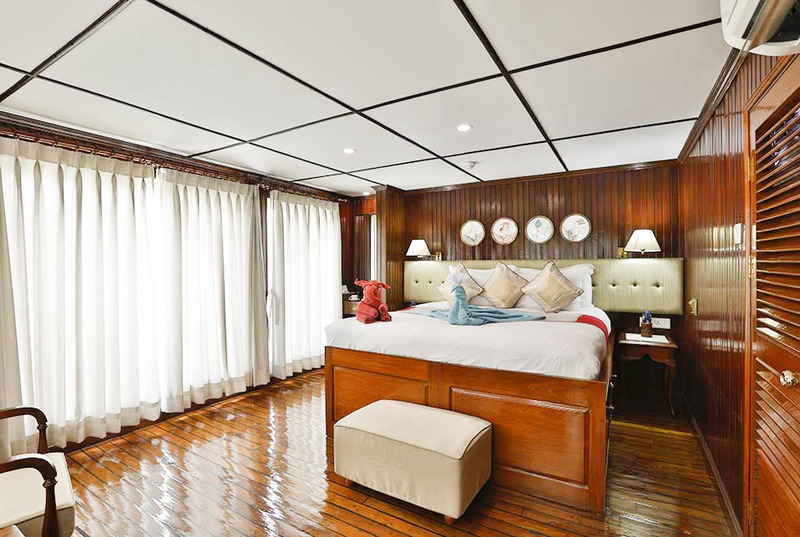 Your sojourn is complemented with large window panels to witness the breath-taking views outside while sailing on the Ganges. 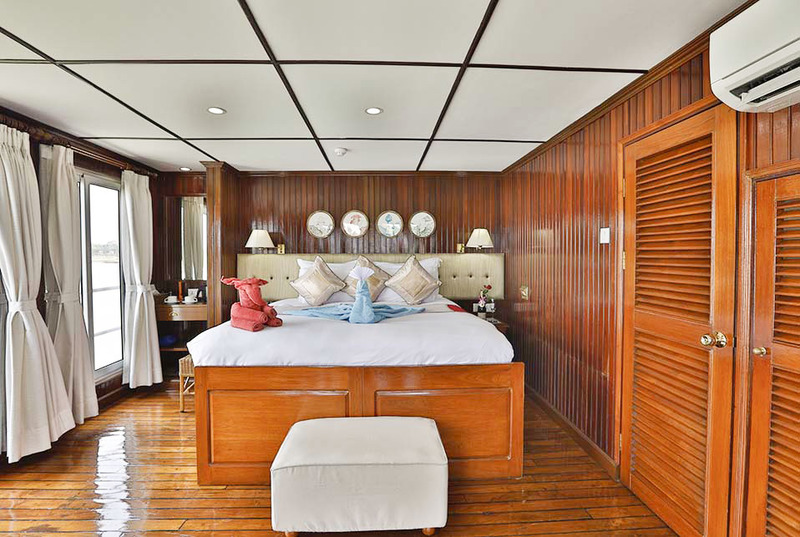 After a long excursion that sometimes lasts the entire day in and around various destinations on the way, our rooms welcome you to their plush comfort. 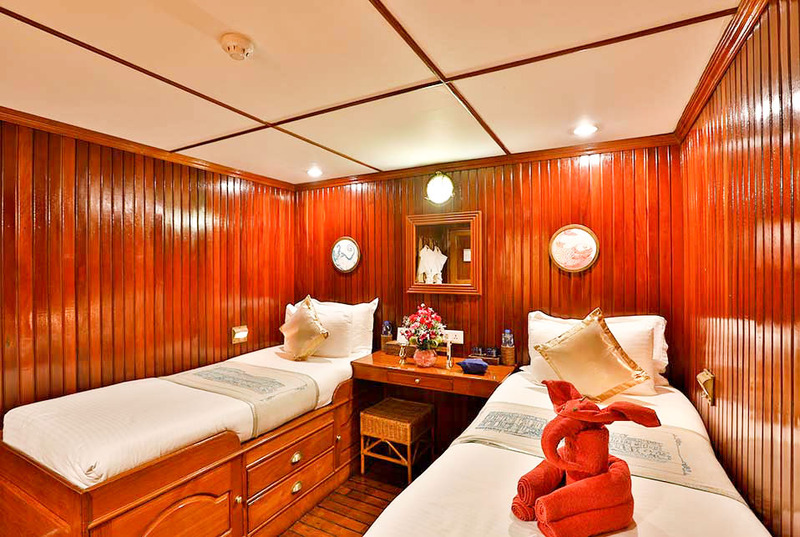 We have 16 Deluxe Rooms on the Upper Deck and 10 on the Main Deck. 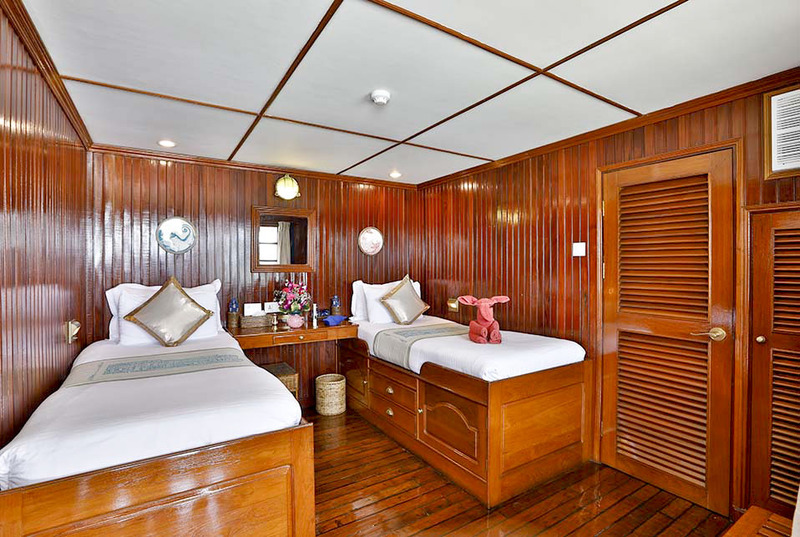 Each of these rooms has an outdoor seating area, facing the river and is furnished with Burma teak floors & walls, original art and fine local textiles. 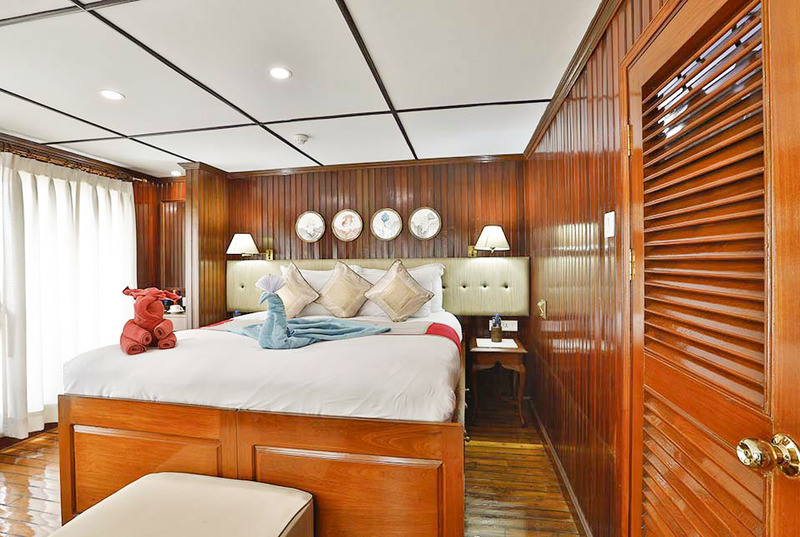 With large window balconies on the Upper Deck, our Premier Rooms are furnished with solid Burma teak floors & walls, double beds, fine indigenous textiles and original artworks. 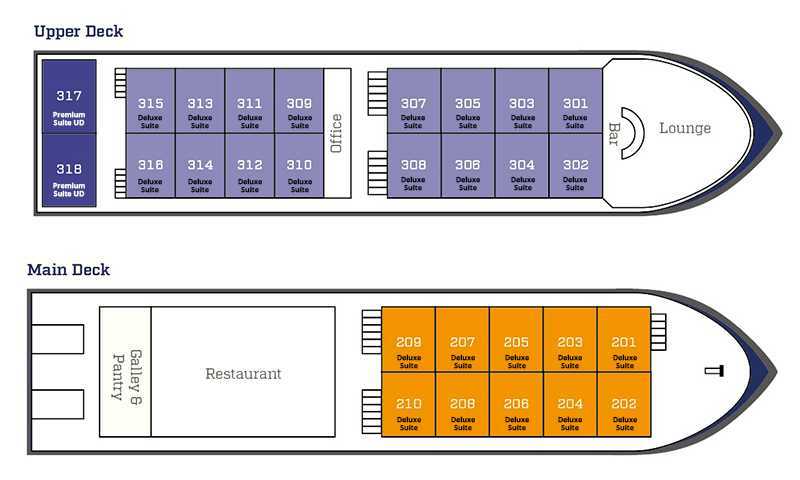 With all the modern amenities, these rooms bring you closer to experiencing India like a royal. Copyright @2019 Exotic Heritage Group.